Muscadines can range in color from bronze to dark purple. Every year as August draws to a close and Labor Day approaches, I start craving muscadines, the large, thick-skinned grapes that were everywhere in my home state of North Carolina when I was growing up. Many summer evenings, my friends and I would sit on one of our porches and plot out how we could get into a neighbor's yard to get the muscadines off the vine and into our mouths. We crafted football-like plays that involved a bunch of running, splitting up, grape snatching and fence jumping. Later, we would reconvene at the designated meeting point (another porch) and eat our booty, popping the succulent fruits into our mouths, slurping up the juicy flesh, spitting out the seeds and skin. The texture is softer than conventional grapes — they sort of melt in your mouth — and much sweeter. Definitely worth getting in trouble over if caught mid-muscadine caper. For me, the pleasures of muscadines are deeply ingrained in memory. Yet when I mention them to friends and colleagues who grew up outside the South, I'm often met with puzzled looks. So, allow me to introduce you. 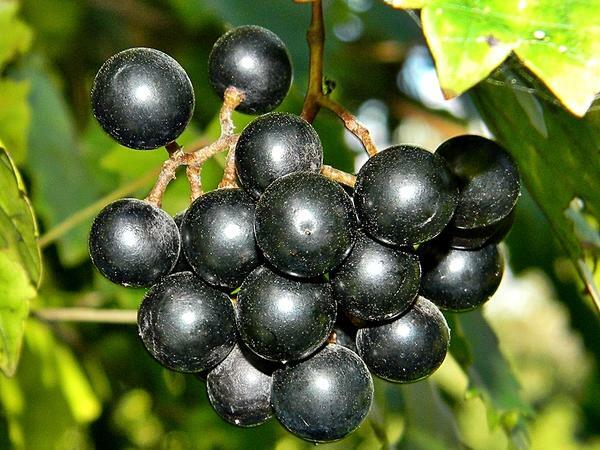 At first glance muscadines and scuppernongs — a variety of muscadines named after the Scuppernong River in North Carolina — may appear to be the green and red grapes you're used to seeing in your grocery store. But look more closely and you'll see that they are bigger and rounder than those grapes, and the skin is thicker. Muscadines are native to North America, according to Patrick Conner, a professor in the horticulture department at the University of Georgia, home of the oldest muscadine breeding program in the U.S. Their harvest season runs from the last week of July to early October, depending on which state you're in. You can find them all around the Southeast region of America, as far north as Kentucky and as far west as East Texas. "They are native to our region and with all the humidity and the heat down here, I think the tough skin protects them from a lot of the fungal diseases," Conner says. Mark Hoffmann, small fruit extension specialist at N.C. State University, which also has a muscadine breeding program, concurs. He says muscadines are "very easy to grow," which means "there's much less pesticide use, and they can cope with most of the diseases which are around here." 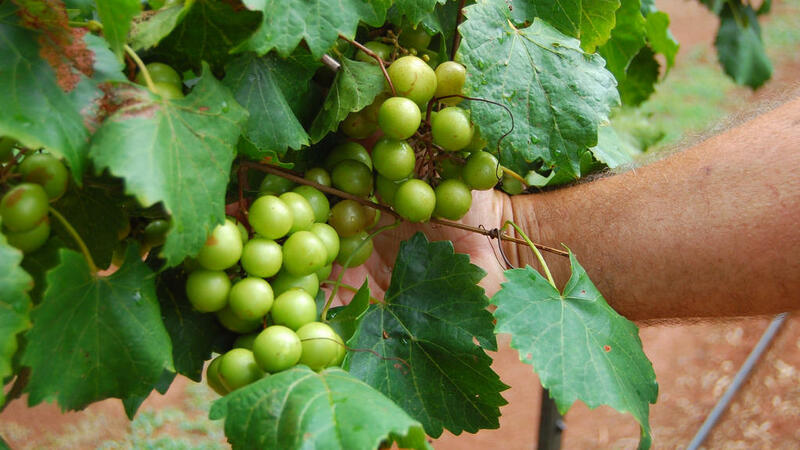 The hardiness of muscadines also means it can cost less to grow them than other grapes, says Hoffmann, who eats a pound of muscadines each day. And the tough skin has health benefits, according to Conner. "All the antioxidants," he says, "all those good things are in the skin." A report from the Institute of Food and Agricultural Sciences at the University of Florida found that muscadines "have been shown to be rich in total phenolic compounds, ellagic acid, and catechins," which may help ward off cancer. Some winemakers capitalize on that, Hoffmann says, by crushing the seeds and skins of muscadines and selling them to companies that make nutritional supplements. Now, I've never had it, but folks have long made wine out of muscadines. A recent visitor to Duplin Winery in Rose Hill, N.C., described the taste as "quite sweet" and Wine Folly says "sensitive wine tasters may become overwhelmed by the aromatics." 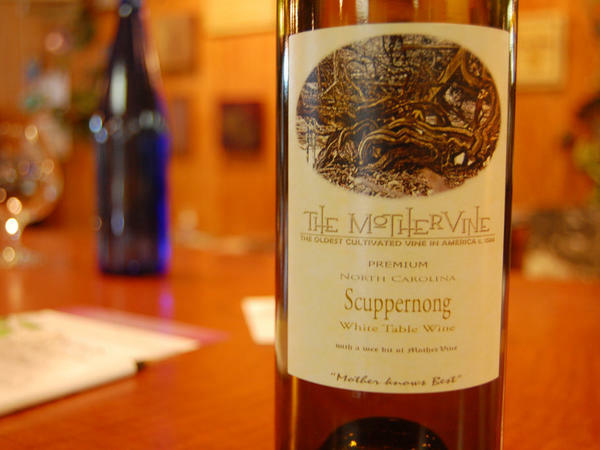 In the South, the wine industry was largely based on scuppernongs and muscadines in the 1800s and early 1900s until Prohibition, Conner says. According to "A History of Wine in America: From the Beginnings to Prohibition," written by Thomas Pinney, in the days before and immediately after Prohibition, a scuppernong-based wine known as Virginia Dare was the most popular wine in America. The vintner behind Virginia Dare, Paul Garrett, was known as the dean of American Wine Growers in the early 20th century. But after Prohibition ended, the muscadine industry never recovered, says Conner. Still, these days breeding programs are working on developing varieties of muscadines that will make them more appealing to the masses. That involves making the skin easier to chew and less bitter tasting, and getting rid of the seeds. Then, growers can sell them beyond the South. "The main concern there is that a lot of customers do complain about the size of the seeds, or that there are seeds inside, because they are used to the seedless grapes," Hoffmann said. "And also the skin thickness is a problem." With those changes, Hoffmann thinks the muscadine industry in the South could one day be as big and thriving as the California strawberry industry. But it may take another 100 years to get there. "We are in an early stage of breeding," he explains. "Grapes are perennial plants, which means it will take a long time."